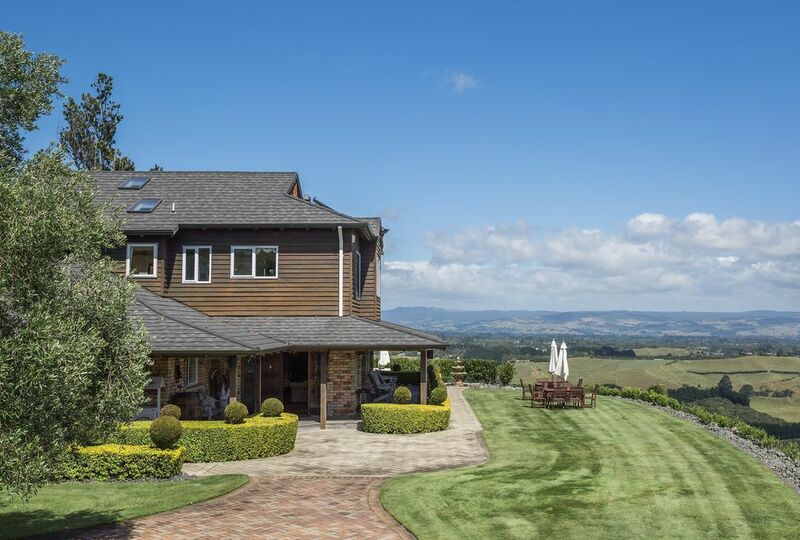 American heritage features and privacy characterise this elegant and rustic four-bedroom country Lodge accommodation in Tauranga which can host exclusive groups of up to 8 people. Two grand living spaces feature rich leather furnishings, fireplaces, a grand piano and antique 1860’s snooker table. A sweeping solid rimu staircase leads to upstairs accommodation featuring the grand suite and three Deluxe Rooms.